By default, Kerry is the front runner and I opine that by every yardstick he ought to be: From the teamwork perspective, a Secretary of State Kerry in tandem with a Vice President Biden have a long-built synergy that would allow them to boldly remake America’s role around the world. Both of them, although they’re not widely seen as such, are visionaries on foreign policy. If I had to bet which of the three — Kerry, Richardson or Lugar — has the biggest list of new ideas for what he would take to the position, I’d put all my chips down on Kerry and the probability that he’s already put it in memo form. If Biden agrees with those ideas — and chances are good that he does — we may see Kerry quickly named to the position as one of the first major appointments of the administration. Press hackery and speculation aside: It won’t be because Kerry went out on a limb and endorsed Obama before everybody else got on the bandwagon (but that doesn’t hurt, not at all; and probably even more compelling for Obama is that Kerry is the guy who gave him the 2004 keynote speech slot that rocketed him into contention), but because Kerry would be the most qualified and enthusiastic workaholic for the position; one that knows in minute detail where the damage has been done — and where the bodies are buried — over so many years by disastrous US policy across the world and who has a plan to fix it. If Obama and Biden are seeking a pro-active and self-motivated Secretary of State in harmony with their own visions, one that will command immediate respect, almost no second-guessing, and have a unifying effect on the rest of the foreign policy wonk world seeking to join the administration, Kerry is looking better and better for the position every day. In sum: Kerry provides Obama and Biden the fastest route to making real change without provoking unwanted turbulence. John Kerry has been fighting for change on foreign policy longer than virtually anyone else. While his views on foreign policy and Iraq were greatly distorted, first in the primary battles of 2004 and then by George Bush in the general election campaign, as The New York Times pointed out back in 1992, John Kerry set himself apart from other Democrats by being willing to stand up to the policies of George Bush. In his speech at Georgetown prior to the start of the Iraq war, John Kerry called on George Bush to not rush to war, predicting the consequences. When George Bush failed to listen to his advice and attacked Iraq, John Kerry protested, saying we needed regime change in the United States. John Kerry’s attempt to bring regime change fell short in 2004, but in both 2004 and 2008 John Kerry worked to advance the career of Barack Obama, enabling us to bring about change beginning in 2009. Barack Obama and John Kerry would make a tremendous team in reversing the disastrous foreign policy of the last eight years and restoring America’s reputation and position of leadership in the world. For several years, I’ve been writing about Bushenfreude, the phenomenon of angry yuppies who’ve hugely benefited from President Bush’s tax cuts funding angry, populist Democratic campaigns. I’ve theorized that people who work in financial services and related fields have become so outraged and alienated by the incompetence, crass social conservatism, and repeated insults to the nation’s intelligence of the Bush-era Republican Party that they’re voting with their hearts and heads instead of their wallets. I wrote about Why We Latte Drinking Liberal Elitists Can Vote Democratic back in September, presenting data showing that the types of people Gross is discussing don’t have a huge economic stake if we only look at taxes regardless of which party wins. Those earning incomes in the range Gross discusses may pay a little more or less in taxes under the plans of one or the other candidate, but it doesn’t amount to all that much. Most of us latte drinking liberals who pay more taxes under Obama’s tax plan will pay $1000 or less extra per year. It isn’t until incomes in the ballpark of $600,000 per year where the tax differences really matter, and these are not necessarily the ones Gross is discussing. So we wind up paying $1000 (or less) extra in taxes a year. We are obviously not hurting for money where $1000 is crucial. While conservatives look purely at paying the least amount in taxes, liberals are willing to look at what we get in return if we put up with paying a little more (even if we would prefer not to). Voting for Obama over McCain means a better chance of getting out of Iraq and less of a chance of getting bogged down in other wars. Voting for Obama over McCain means increasing civil liberties and restoring some of the checks and balances on government power. Voting for Obama over McCain means more liberal judges and less of a risk of returning to the days of the shirt hanger abortions. Voting for Obama over McCain means an end to the religious right dictating government policy. Voting for Obama over McCain means an end to the funding ban on embryonic stem cell research. Voting for Obama over McCain means a better chance of having cleaner water and air, and of seeing the country move towards energy independence. All of these factors give reason to vote Democratic even if it did cost more and this does sound much like the idea of Bushenfreude noted above. The reasons for voting Democratic also go beyond this. The marginal tax rate is only one factor in how we do economically, and the differences being discussed are not that great. Historically the economy does better and the market goes up more under Democrats than Republicans. Past performance is no guarantee of future returns, but we have seen the results of Republican economic ideas in the past several weeks. I’m losing far more in the market every day thanks to failed Republican economic policies than any higher taxes I would pay in an entire year under Obama compared to McCain. Republican policies of using the power of government to transfer wealth to the ultra-wealthy do not work out very well for everyone else. Obama is right that spreading the wealth around is better for small businessmen. He did not mean Marxist redistribution of the wealth as the Republicans have claimed but allowing all to benefit from the advantages of participating in the free market. A strong middle class allows us all to make more money, while Republican polices stiffle the market allowing a small oligarchy to receive most of the benefits. Despite Republican rhetoric, their policies are destroying rather than promoting capitalism. More affluent voters are realizing this and are voting their wallets, as well as their values, in voting Democratic rather than Republican. According to two members of the House Democrat Caucus, Reps. Nancy Pelosi and Steny Hoyer have informed them that they will “aggressively pursue” reinstatement of the so-called Fairness Doctrine over the next six months. So the Spectator, not exactly known for its deep sources with the Democratic Party, reports that “two members” of the House Democratic caucus claim that Pelosi and Hoyer are going to aggressively pursue reimposition of the Fairness Doctrine. Unfortunately for the conspiracy theorists, this was reported in May of 2007, and unless I missed some big news, Pelosi and Hoyer failed to make their big push. So why are conservatives in such a tizzy about this? It’s a mystery. There do appear to be a few members of Congress who think it’s a shame we got rid of the Fairness Doctrine, but as near as I can tell, “few” equals four or five in the Senate and maybe a dozen in the House. There are probably more Republicans who believe in a return to the gold standard than there are Democrats who seriously want to reimpose the Fairness Doctrine. While not directly addressing this issue, Steve Benen provides a third explanation when he quotes David Brooks as admitting that Republicans have “no coherent belief system.” Lacking any coherent beliefs, or as I argued yesterday, lacking any arguments which resonate with the voters, they are forced to throw out whatever muck they can come up with. Along with so many other conservative arguments, it doesn’t matter whether it is at all grounded in reality. This falls in the same category as the Republican warnings in 2004 that the Democrats would take away people’s bibles if John Kerry had been elected. John Moore, a former Starbucks marketer, estimated that between 12% and 15% of customers are drip-coffee drinkers, and that each of the company’s 7,100 locations serves about 800 people a day. Those figures would set a conservative giveaway estimate at 568,000. Starbucks’ cost per cup is about 30¢, according to several executives familiar with the matter, which would put the cost of the giveaway at about $170,000. However, about one in every five or six Starbucks customers buys food, executives said. If that held true during the giveaway, and each of those people spent even $2, the company could have made money on the promotion. 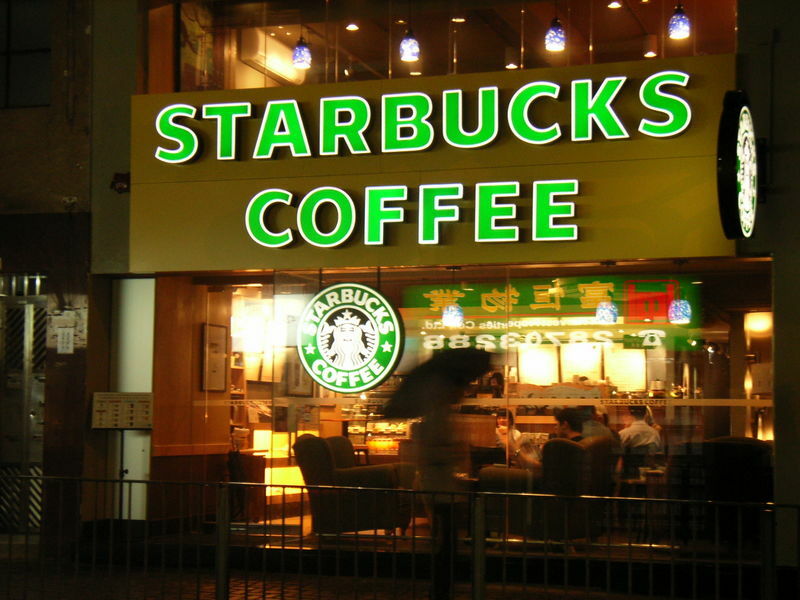 Starbucks has said 75% of its sales are beverages sold in-store, and most of the remaining 25% are food sold in-store. An executive familiar with the matter estimated the “Saturday Night Live” spot could have cost as much as $350,000. But the value of coverage relating to the giveaway — from The Wall Street Journal, CNBC and Newsweek, to name a few — as well as rampant blog chatter likely superseded the chain’s investment. Many of those organizations, including the Journal, posted the Starbucks commercial along with their stories.